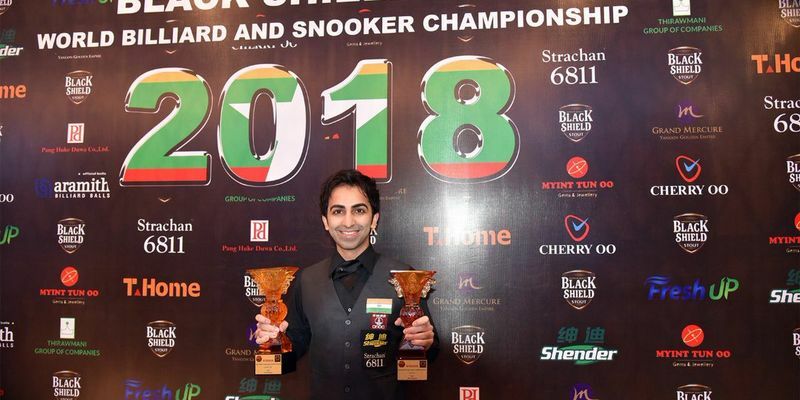 Pankaj Advani defeated Laxman Rawat with ease to clinch his 32nd gold medal in national championships as he won the Senior National Snooker title in Indore on Sunday. Varshaa Sanjeev from Bengaluru won the Women's Senior National title after defeating Arantxa Sanchis of Maharashtra. Pankaj Advani has claimed yet another Senior National Snooker title denying Laxman Rawat his maiden trophy at the top event. The ace Indian cueist played with ease and grace as he displayed snooker of high-quality. The champion cued past his opponent with his combination of scoring and safety of first-class sorts. Advani clean-swept his opponent with the scoreline reading 6-0. He has nine billiards, three six-red snooker and now nine snooker gold medals in the national competitions in his career. He had also managed to win 11 junior titles to his name as the tally shoots up to 32. Varshaa had an exceptional run in the tournament and she ended on a winning note. The talented snooker player was indomitable as she took on the best cueists in Amee Kamani, Vidya Pillai and knocked them out of the tournament in the quarterfinals and semifinals respectively. Varshaa too had a rather comfortable outing as she raced past Arantxa Sanchis with the score reading 4-2.